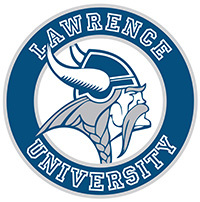 APPLETON, Wis. — It’s getting to be crunch time for the winter sports team as Lawrence University men’s and women’s basketball and hockey are closing in on the end of the regular season. Both the men’s basketball squad and the hockey team are fighting for postseason berths in their respective conferences. The first of the spring sports also gets its season going as men’s tennis opens with a match at MSOE on Sunday. When and Where: Tuesday, Jan. 31, 5:30 p.m., Small Multi-Sport Center, Mount Vernon, Iowa. The Series: Cornell has a slim 8-7 advantage over the Vikings in a series that was first played in the 1988-89 season. The Rams have a seven-game win streak in the rivalry. When and Where: Saturday, Feb. 4, 1 p.m., Alexander Gymnasium. The Series: In a series that started in the 1977-78 season, Beloit holds a 37-28 advantage. The Bucs have won the last 17 meetings. Fast Fact: Junior guard Olivia Hoesley scored a career-high 20 points vs. Grinnell this past Saturday. She topped her previous high of 19, set in Lawrence’s victory over Marian early in the season. When and Where: Tuesday, Jan. 31, 7:30 p.m., Small Multi-Sport Center, Mount Vernon, Iowa. The Series: Cornell holds a 61-30 edge over the Vikings in a series that began in 1924. Lawrence is 4-3 against the Rams since Cornell rejoined the Midwest Conference in 2012. When and Where: Saturday, Feb. 4, 3 p.m., Alexander Gymnasium. The Series: In a series that goes all the way back to 1911, Beloit holds a 101-75 advantage. The Vikings have dominated the series over the past 15 seasons. Lawrence has won 24 of the last 28 meetings with the Bucs. Fast Fact: Lawrence slipped to fifth place in the Midwest Conference standings with two losses last week. The Vikings are a game out of being tied for third place with Grinnell and Lake Forest. 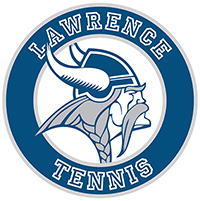 Grinnell holds the tiebreaker with the Vikings, and Lawrence has one game left with Lake Forest. When and Where: Thursday, Feb. 1, 7 p.m., at the Appleton Family Ice Center, and Friday, Feb. 2, 7 p.m. at the Kern Center, Milwaukee, Wis. The Series: In a series that started in the 1992-93 season, MSOE holds a 49-21-3 advantage. The Vikings are 2-0-1 in the last three meetings with MSOE. Fast Fact: Lawrence rookie goaltender Evan Cline has a shot at a pair of school season records. Cline has a .934 save percentage and 2.35 goals against average with six games left in the regular season. The record for save percentage is .924 by Peter Emery in 2011-12, and the GAA mark of 2.11 was set by Evan Johnson in 2008-09. When and Where: Saturday and Sunday, Feb. 4-5, all day, Castellan Family Fencing Center, Notre Dame, Ind. Fast Fact: The Lawrence women went 3-2 at the DiCicco Duals last weekend, and the men posted a 2-2 mark. Allison Kim and Natalie Hagopian both went 11-4 to pace the women, and Jakub Nowak posted an 8-4 mark to lead the men. When and Where: Sunday, Feb. 5, noon, Elite Sports Club River Glen, Milwaukee, Wis.
Fast Fact: The Vikings open the season with at least four new faces in the starting lineup as Brian DeCorte, Adam Busch, Ethan Perushek and Mitch Kasprzyk were all lost to graduation. Lawrence was picked to finish fifth in the Midwest Conference in the preseason coaches poll.